At this time of year, when you're in the market for illustrations to decorate blogs, websites, or advertisements, etc., the starting point could just quite likely be a flower. We're all so ready to see them. And nothing says spring more than the blooms that begin to poke their head through the dirt. They're cheerful, bright and beautiful, perfect images to denote the rebirth and awakening we experience after a long winter. Interestingly, too, is how many other times they can be the go-to picture for a project. The romance exemplified by a rose is perfect for Valentine's Day greetings, anniversary and engagement salutations, or wedding stationery. Shower cards and invitations are given a breezy character with smiling daisies. 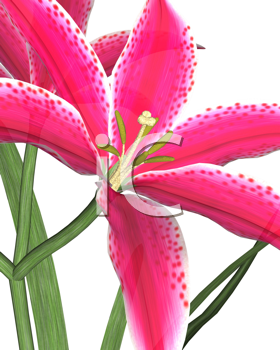 The elegant lily conveys messages of sympathy and inspiration. They can be an adornment to a plain background, a frame to border a message or picture or the decoration to complete a work of art.